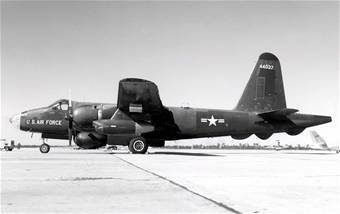 On September 4, 1951, a navy P2v-3 Neptune, (Bu. No. 122978) took off from Quonset Point Naval Air Station with seven men aboard to take part in an exercise with a submarine in the waters between Block Island and Montauk Point, Long Island, N.Y. The plane was assigned to Patrol Squadron 5, (VP-5) tasked with locating submarines using sophisticated electronics. The cause of the accident was not determined. All seven men aboard were killed. Lt. Cmdr. Jerome J. Rossillion, 32, Jacksonville NAS. Lt. Herschell B. Thorpe, 30, Jacksonville, Fla.
Aviation Electronics Technician Charles G. Chapman, 21, Malden, Mass. Chief Aviation Machinist Charles L. Cook, 32, Yukon, Fla.
Aviation Electronics Operator Ralph R. Maxfield, 29, Jacksonville, Fla.
Aviation Electronics Operator Frank M. Roeder Jr., 21, St. Louis, Mo. Aviation Ordinance Man Kenneth G. Peterson, 26, Jacksonville, Fla. According to naval authorities, the plane had been at Quonset for two weeks, and had left about an hour before the accident.